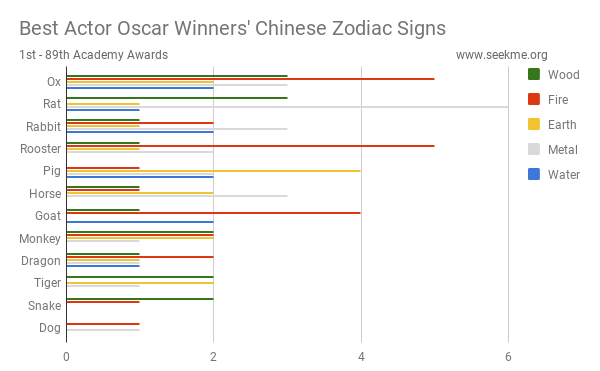 Data : The Chinese zodiac signs and elements of the best actor Oscar winners from The 1st to 89th Academy Awards. The sum of the frequencies of the signs is 90 as there were 2 winners of this award in the 5th Academy Awards (Wallace Beery in The Champ & Fredric March in Dr. Jekyll and Mr. Hyde). 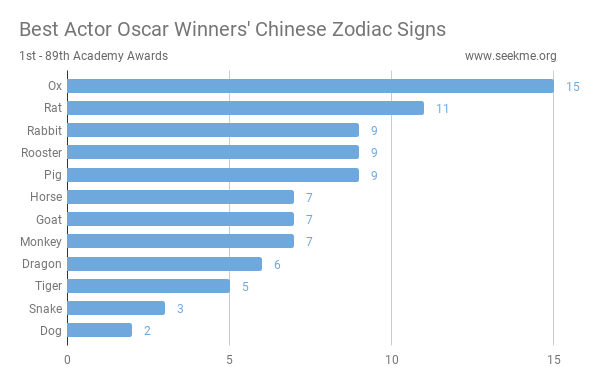 Ox ranks 1st with the most winners. 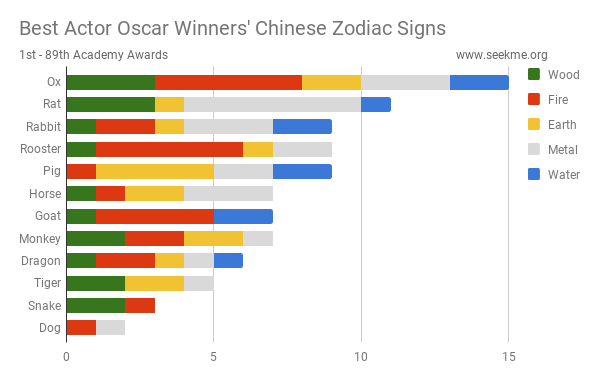 Dog is the animal sign with the least. Dustin Hoffman, Paul Newman, Anthony Hopkins and Jack Nicholson are Oxen. 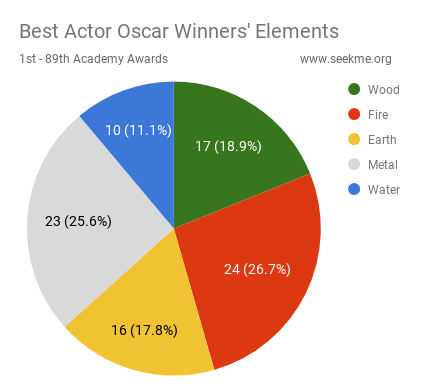 Taking both animal signs and elements into account, Metal Rat leads in the race. Clark Gable, Sean Penn and Colin Firth are Metal Rats.